The Minnkota Power Cooperative Jeans Day Committee recently awarded Jeans Day funds raised by Minnkota employees to Hospice Red River Valley and the Third Street Clinic. Each charity received a $500 donation. Thank you to Minnkota employees for their support of Hospice of the Red River Valley! 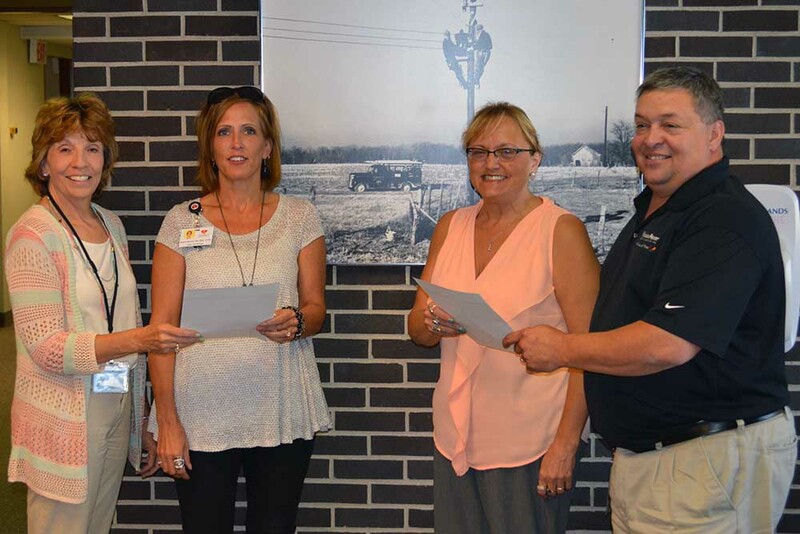 L to R: Minnkota employee Sharon Howe, Hospice Red River Valley Patient Care Manager Kathlyn Rexine, Third Street Clinic Executive Director Lynnell Popowski and Minnkota employee Mark Williamson.